Singing and Spinning: Oh goodness- what am I doing? Every once in a while, I get a bug. That bug is a workout bug. It makes me feel motivated and anxious to do things that will make me feel stronger, healthier, and happier. Recently, I started swimming in the mornings with Melissa. I'm really lucky to have Melissa willing to workout with me. She does marathons and triathlons and is a member of training clubs. She and I used to work out together back before I married Scott. We'd work out several evenings a week after work, we'd do yoga on Saturdays and shared a personal trainer. Over the past 8 years, she's continued to workout while I haven't. Each time we go swimming, Melissa has a workout plan for us and we've increased our distance and lengthened our training time over the past three weeks. As of last Monday, I'm now doing Stott Pilates as well. Once or twice a week I'll go and do an hour of the reformer and possibly I'll do an hour of a mat workout. My first 5 classes will be private sessions where I get to learn all about how to hold my body correctly while engaging my core. I started doing a mat workout with a Pilates video back in 1994 when my friend, Camille, introduced me to it. During the same time, my aunt and uncle started doing Pilates with Jim. (Jim was a personal trainer I worked out with back in the late 80's who became certified in Classical Pilates). There are only a few (maybe 4) people that are certified in Classical Pilates in all of Utah. Classical is very strict. 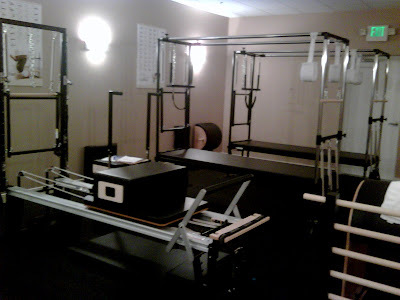 Since Joseph Pilates' copyright expired in the early nineties, Stott Pilates entered the scene. Stott allows for some modifications of exercises and with Stott, you hold your body a little differently. I really really liked the way I felt during and after Stott Pilates. So much so, I looked into getting certified. I won't be- it's a lot of money and a lot of time. Instead, I'll just keep going to Aspire Pilates. 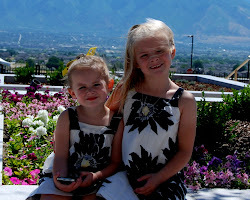 If Riverton isn't far for you to travel, I highly recommend you give it a try. i love that you are doing this....maybe your jock of a sister should get some kind of a workout bug! Someday I'll be able to work out at a gym again... like in 3 years when the girls go to preschool a couple days a week! I don't do gym daycares. (I know you don't either.) I've been meaning to call you about exercise stuff though, so I'll try to remember tomorrow.